It’s not just birds and planes in the sky anymore — drones are on the rise. But how much do we know about the flying machines? As the technology progresses, it appears that the aerial devices are also getting smarter. 1. The first “armed” drones were built to get Osama bin Laden. Meeting one week before the 9/11 attacks, the National Security Council agreed that the armed Predator was not ready to be operationally deployed. The first known killing by armed drones occurred in November 2001, when a Predator targeted Mohammed Atef, a top al Qaeda military commander, in Afghanistan. 2. Which country started building drones? Israel is the world’s largest exporter of the defence drones and drone technology. The state-owned Israel Aerospace Industries has sold drones and drone technology to more than two dozen countries around the world. 3. The number of lives these drones have taken till date is appalling. The Bureau Investigation Journalism reports that from June 2004 through mid-September 2012, drone strikes killed 2,562-3,325 people in Pakistan, of whom 474-881 were civilians, including 176 children. Whereas, the total number of people killed during the 9/11 incident were less than 3000. 4. But then, all drones don’t bomb! This technology hasn’t been confined to the defence sector, it has expanded to help the mankind. An NGO manages to stockpile medicine for people in remote African villages, but they can’t get to the remote areas fast enough to save lives. Send in the Drones! 5. They are also used to help the police fight crime. Police departments across Europe are planning to buy drones that they can use for surveillance and related activity. Even the FBI is using them. But, for now, cops can do pretty much anything they want with them. Domino’s Pizza turned some heads earlier this year when they posted a video of a drone delivering a pizza. The idea was that drones could get the pizza to your house faster so it would be hotter and more delicious. But, seriously, can you imagine any pizza chain buying a fleet of drones to take over its delivery service? How about butter chicken? Farmers have a tough job, but drones can make it easier: they’re a great way to do aerial surveys of crops. This way, farmers can see if their irrigation systems are working, how their plants are growing, even see if any of the plants are sick or damaged. The agility of the drone comes in handy and it for sure beats walking. After getting famous in football, it has even found a place in cricket. Drone cameras are being used to give an aerial perspective of the majestic stadiums for the first time ever for the ICC WC. These drones are also being used to capture each and every moment of this beautiful tie knot. Now, your kids wouldn’t really feel as if they have missed any moment of your beautiful marriage because ‘All angles are covered’. 10. It has attracted creative minds as well. Not only in the field of defence or aid, it has also attracted the music lovers. This is what you call cool robotics. With coming technology comes endless possibilities, the drones are also being used for stage decoration and its role in movies pretty soon. 12. Drones are becoming a lethal weapon of choice, but nobody’s in charge. Endless expansions and investments in the defence (military) sector as well as scientists and artists are continuously working on it to reduce human efforts and save time. 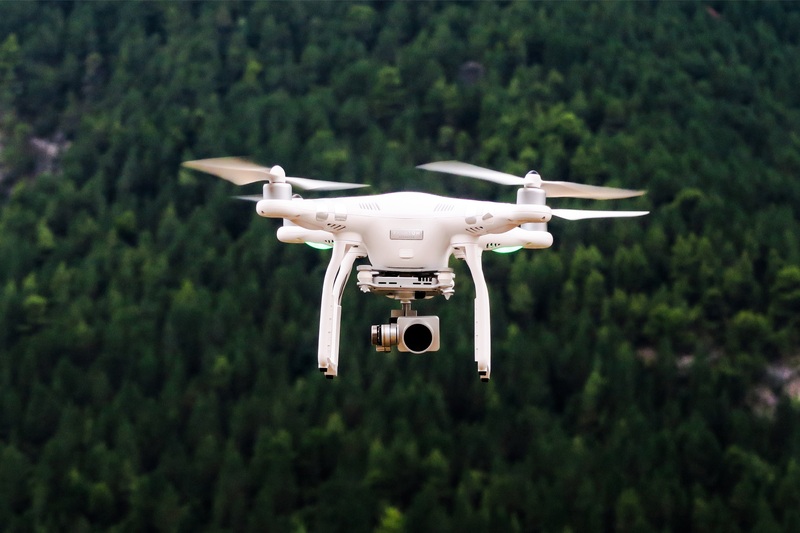 Not only this, factors like studying hurricanes, nanotechnology can also be easily explored using the drones technology.